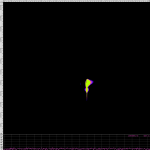 Yesterday the Chang’e3 spacecraft andt the Yutu rover was landing successfuly. 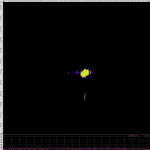 I was start to track the moon since the 18:30 to the 22:30 UTC. 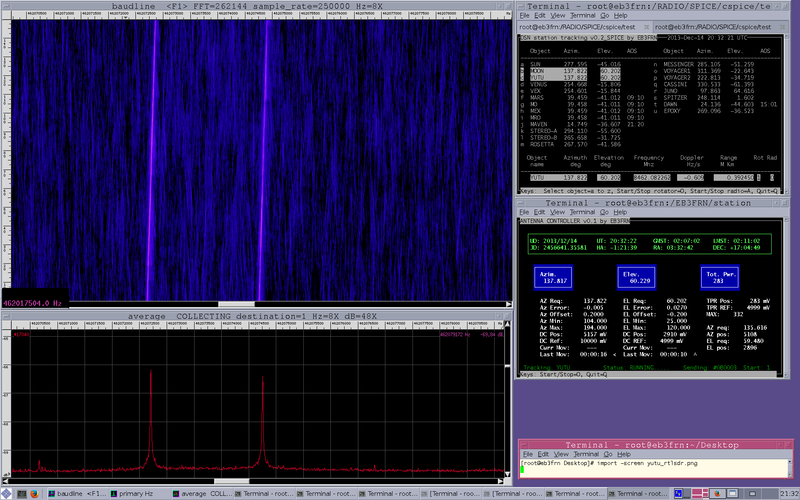 And I was listen Yutu from the start of my window and the signal was over 15dB of SN at 1Hz of BW. 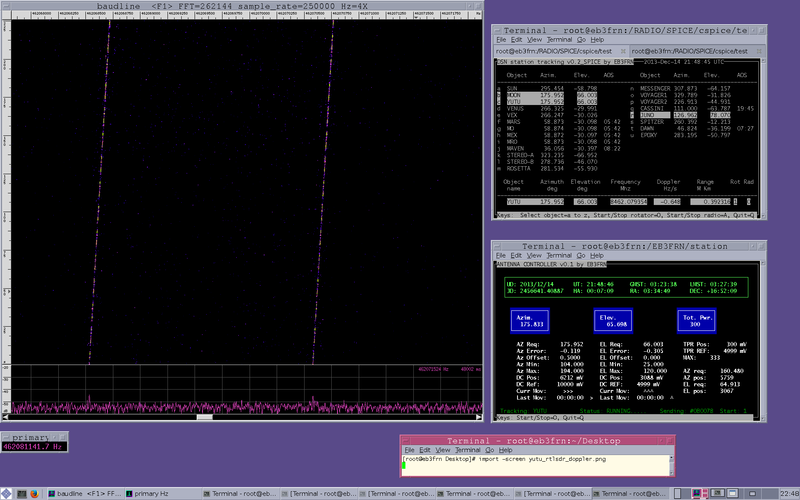 The frequency of the rover is 8462.08000MHz with the moon doppler of -0.6Hz/s of aprox. 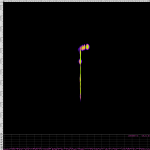 The signal was easy to listen in the earphones, and sounds like a some kind of morse. 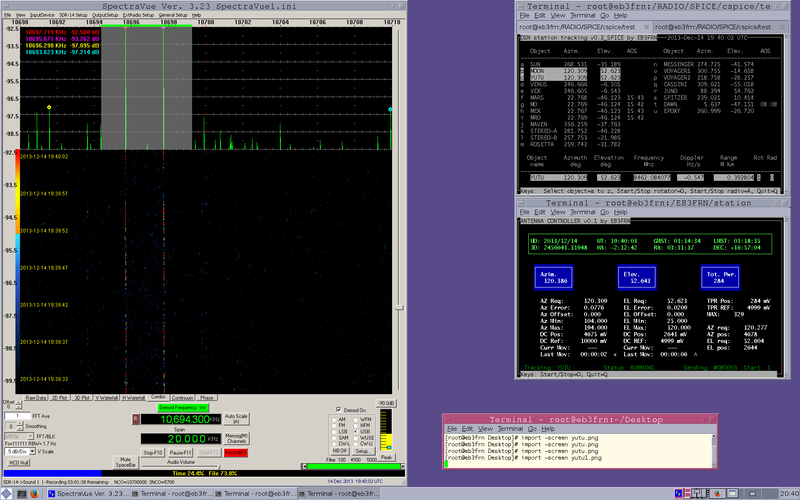 For this event I was setup two receivers, as main a AOR AR5000 and Rfspace SDR14. 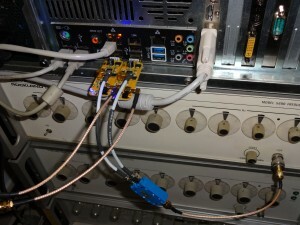 As second receiver a rtl-sdr doongle with r820t tuner and baudline. 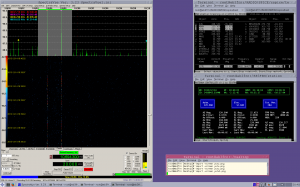 This entry was posted in AMATEUR-DSN, EB3FRN, RTLSDR, SDR on December 15, 2013 by eb3frn. 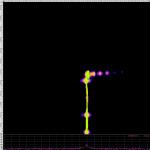 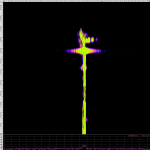 The first test to see the coherence of two rtlsdr in realtime consist in do a cross-correlation of the two dongles, the cross-correlation is a measure of similarity of two signals. 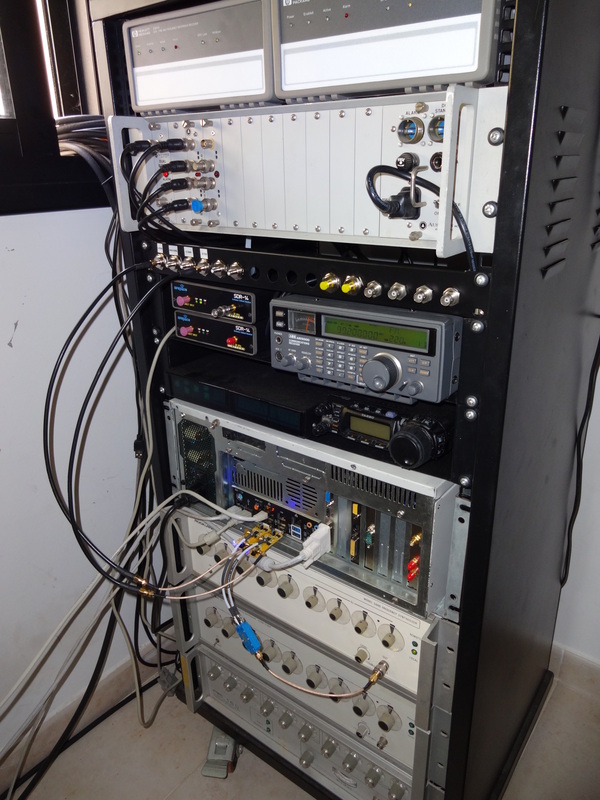 This entry was posted in EB3FRN, GNURADIO, RTLSDR, SDR on October 26, 2013 by eb3frn. 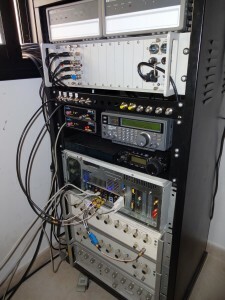 My setup consist in two rtlsdr dongles with r820t tunner with the xtal removed, connected to a PTS-160 Synthsesizer tunned at 28.8 MHz and locked to 10 MHz GPS reference. 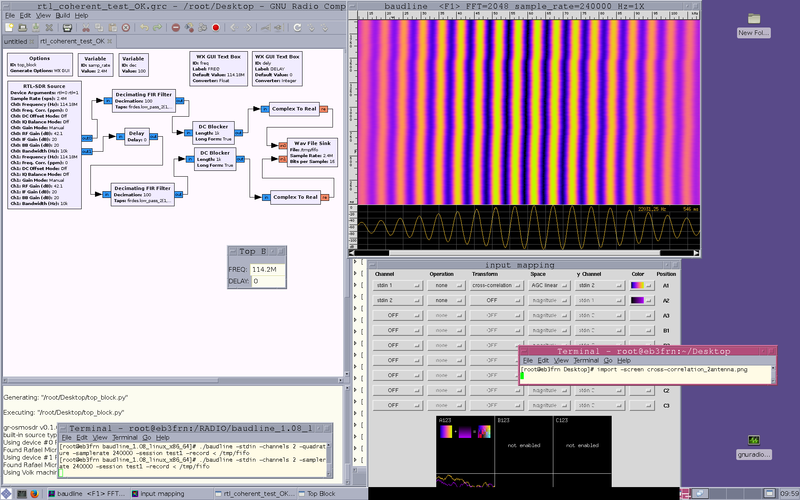 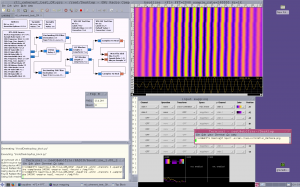 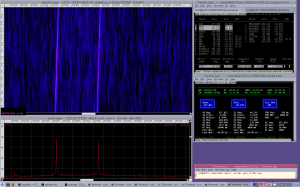 This entry was posted in EB3FRN, GNURADIO, RTLSDR, SDR on October 25, 2013 by eb3frn. 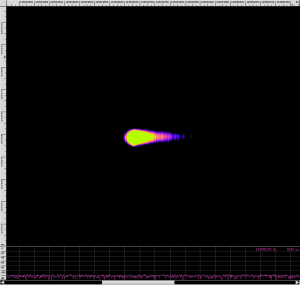 The past agoust I was build a passive radar to detect the Perseids meteor shwoer . 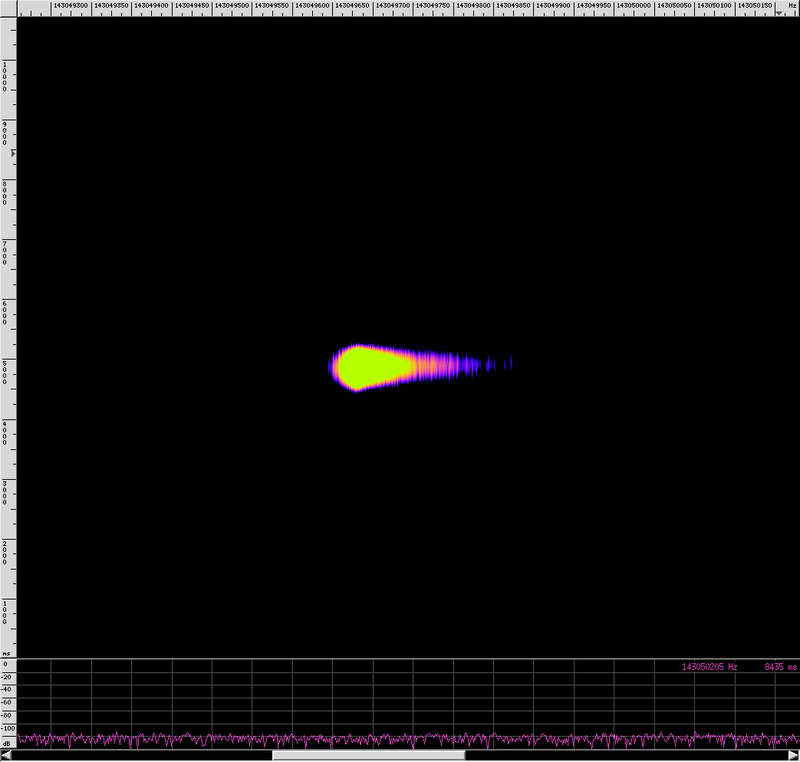 The most easy way is locate a very away transmiter and try to se the echoes produces by the meteors ionizacion. This entry was posted in EB3FRN, RAIOASTRONOMY, RTLSDR on October 7, 2013 by eb3frn.